Police officers across Europe are carrying out a week-long campaign to crack down on speeding. The speed enforcement operation started on Monday and will run until Sunday 24 August. 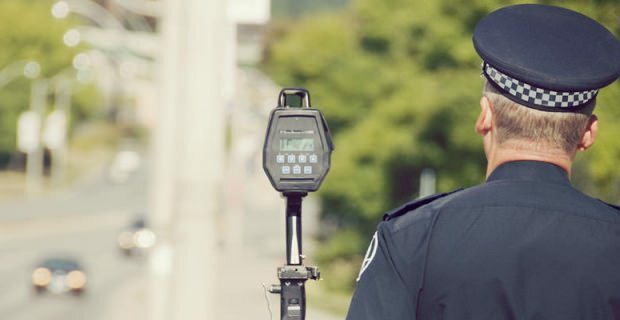 Co-ordinated by the European Traffic Police Network (TISPOL), the crackdown will involve officers using various different speed detection methods across all road types, including previously identified high-risk locations. “Anyone who still believes that speeding is a trivial offence needs to think again. That’s because excessive or inappropriate speed has a singularly devastating impact on the safety of road users, increasing both the risk of a crash and the severity of the consequences. It is estimated that speeding contributes to as many as one third of all crashes resulting in death, and is the most important contributory factor to road deaths and serious injuries (ETSC 2008). “All across Europe this week, police officers will be ensuring that drivers respect the different speed limits. In cases where drivers choose to ignore these limits, officers will take appropriate steps to enforce the law. TISPOL carried out a similar operation in August last year, which resulted in more than 720,000 speeding detections across 28 European countries. Drive according to the road conditions. Remember that the speed limit isn’t a target. Think about the consequences of causing an accident by speeding. You will have to live with them. Don’t assume it’s OK to speed on rural roads just because they’re quiet. Be aware of hazards ahead, such as blind bends, vehicles emerging from junctions and animals on the road. The European Traffic Police Network (TISPOL) was established in order to improve road safety and law enforcement on Europe’s roads, with the aim of reducing deaths and serious injuries on the road. The organisation serves as a learning platform and knowledge exchange between Europe’s traffic police forces. It collaborates with a wide range of partners in order to make Europe’s roads safer.